Stories are a wonderful and powerful tool that you use often now and you will use often in the art of Conversational Hypnosis. Story telling is a broad range of things, especially in hypnosis. The stories you tell as a hypnotist will not be all princesses and castles, nor will they all even be fictional. Stories can be true life like antidotes, jokes, parables, similes, metaphors, facts, or informational stories. All of these will be useful in hypnosis depending on the person and subject matter you are dealing with. The idea of telling stories has been around as long as humans have. There is sufficient evidence of this from cave drawings to modern day books and the internet. There is not a person on earth who can speak in full sentences that has not at one point or another told a story. They happen everyday, countless times. You tell the mechanic about the funny noises your car is making. You tell the grocery clerk about how frustrated you were trying to find the eggs. You tell your child about sharing and your spouse about your day. These are all examples of stories that happen daily. All these stories also have something in common, they are all powerful. Every story speaks directly to the unconscious mind. You feel emotion for a story as simple as not being able to find the eggs at the super market. You may identify with the story tellers frustration or dismay. Emotion is the language of the unconscious and stories evoke emotion. Stories do several things in hypnosis first they bypass the critical factor. The critical factor recognizes a story and really pays no more attention to it simply because it is a story. There is no resistance to stories. The other thing that stories do for you is to take your reality away and suspend it as you enter a new reality. This new reality is not really defined and can blend realities together to confuse them. You often find yourself identifying with the characters the speaker is talking about and experiencing their lives and emotions as if they were your own. They allow you to live in the character’s experience. This is why you feel emotion when we read particular stories. It is because you identify with the characters at some level. This is important as you put into the context of telling stories to improve your hypnosis, you can use a story to conjure a hypnotic effect in another person. Once you pass up the critical factor you have the ability to create identification with characters and the person you are conversing with. After these two things are accomplished you are in a very powerful position, a listener with no resistance and a story they will want to listen to. Because story telling is so pivotal in hypnosis, especially Conversational Hypnosis, you should really concentrate on getting experienced and good at it. Practice with those you know, everyone like to hear a good story. Now lets look at hypnotic stories, how exactly do you tell a hypnotic story? The first thing a story does for you in the area of hypnosis is to seed ideas or set up a frame work of ideas that will lead your listener into experiences. To seed ideas in your stories be sure to embed suggestions within the story. The story itself can really be on any topic as long as you are focused on inserting your suggestions. You should be aware to use trance themes within your stories as this will have a greater impact on your listener if they are coaxed into a trance. Trance themes that you can start out with are relaxation on vacation, being drawn into a movie or suspenseful ideas. These are hypnotic themes that will help to draw your listener into a hypnotic state. Isomorphic stories are another helpful skill set to keep in your library. These are stories that portray likeliness to the situation or person you are telling the story to. This goes back and relates to mirroring. Really be cognizant of mirroring your listener and their situation in the story you are telling about other characters. An isomorphic story will also offer a solution or plan of action to take about the problem or situation within the story, which is in essence your listener’s situation or problem. This type of story will send your listener away analyzing what has happened and eventually find their own meaning stemming from the story you have told. Finally the last aspect of story telling you will want to practice is that of priming the unconscious mind. This is the art of forming the unconscious mind to be aware of a thing before you actually tell it in the story. This is a technique that is used in many different areas including competitive sports, teaching and sales. Competitive sportsmen talk about how they will win and this is responded to on some level of the unconscious. The same goes for teaching a teacher can plant the teachings in a form of pre-teach before they actually teach the lesson they want their students to learn. Sales does this through testimonials of products, they convince the customer that they will be happy with the product before they even purchase it. This concept actually inserts the idea of the motions the person would be going through so they think they have experienced it even before it has actually happened. A sales man shows you want you will need to do for the paper work of buying your car before you actually fill it out. All the story telling skills and types we have covered are very, very powerful. They will help you in bringing in hypnotic themes and plant processes in the minds of your subjects. They will also assist you in embedding suggestions, accessing states, setting emotional triggers and producing productive positive outcomes. Found this article useful? 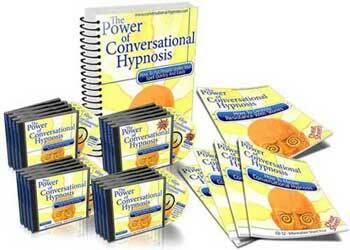 You too can learn how to become a master conversational hypnotist!